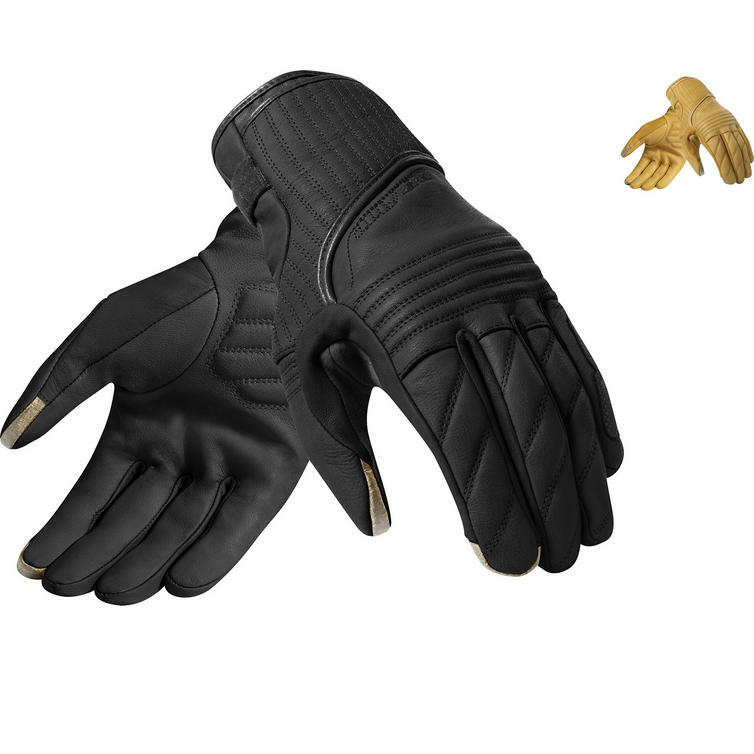 The Rev'It Abbey Road Men's Motorcycle Summer Gloves are part of the latest Rev'It! collection. Just like its name the Abbey Road summer gloves are destined to become iconic. The high quality drum dyed goatskin leather and the use of stretch lips ensure comfort and freedom of movement. PWR|Shield Knit is added at the palm for extra protection. With the adjustment strap at the wrist the gloves can be fitted snugly and securely, and thanks to the connect finger tips any mobile device can be operated without taking the gloves off. 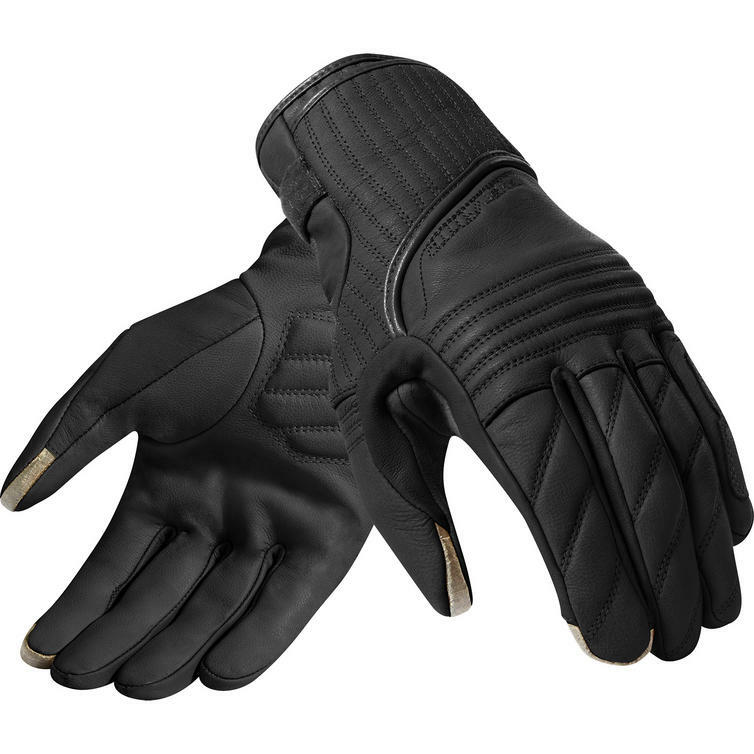 View all Rev'It Motorcycle Gloves. View all Motorcycle Ladies Gloves. Goatskin drum dyed with WR finish (in colour Ocher Yellow only) - Tanned leather made from goatskin is considered extremely durable, and is often used for gloves and other products that require a soft hide. Goatskin with a WR finish has undergone a process that makes it water-repellent and soil-resistant. The WR coating is bonded to the material at the molecular level, enhancing the material?s natural water-repellence and soil-resistance, without altering how the fabric looks, feels, or breathes. Connect Finger Tip Fabric - Never take off your gloves again to answer your phone or navigation system. The connect fingertip has been specifically designed to operate touch screens. PWR|Shield Knit at Palm - PWR | shield is created with a unique knit technique which results in a fabric with unsurpassed cut, tear and abrasion resistance level. This product is equipped with PWR| shield at the palm for extra safety in case the palm of the hand comes in contact with the asphalt. Connect Finger Tip - Never take off your gloves again to answer your phone or navigation system. The connect fingertip has been specifically designed to operate touch screens.